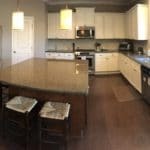 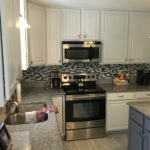 For this kitchen the goal was to brighten the space so it would feel as big as it actually is. 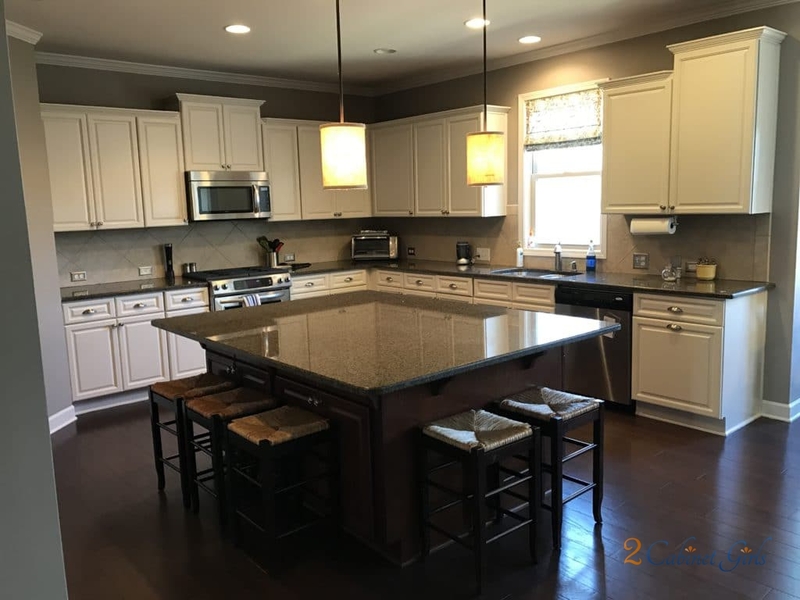 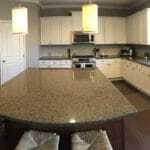 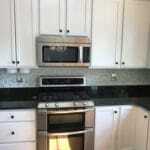 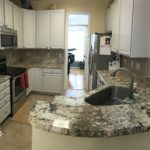 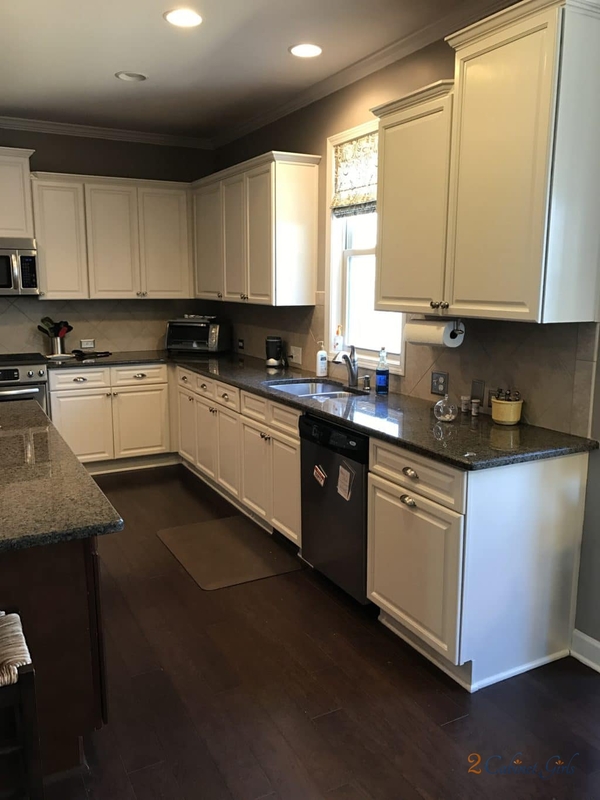 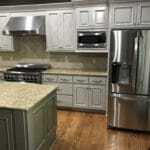 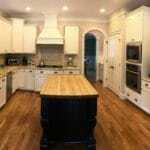 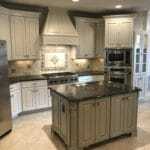 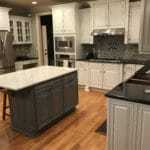 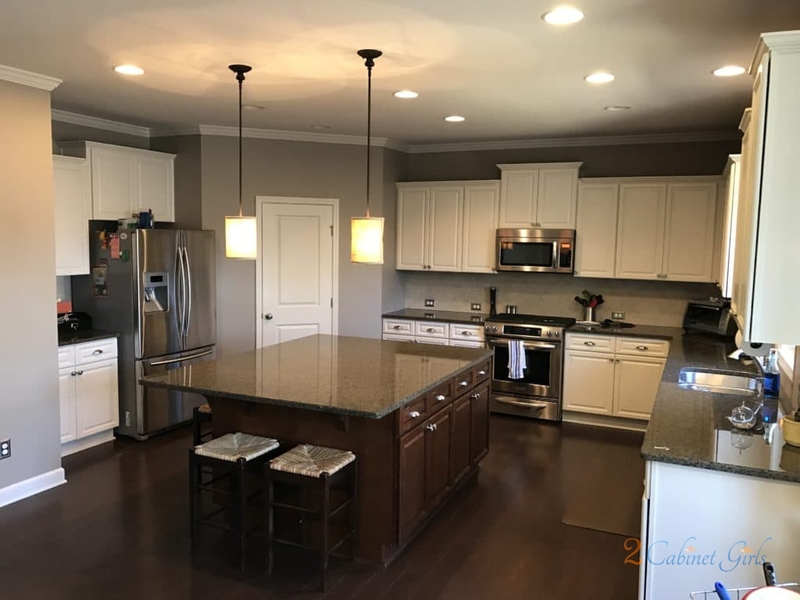 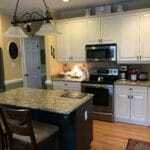 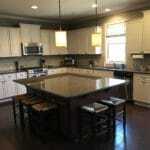 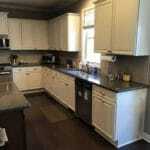 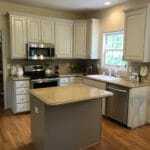 To do that it wasn’t necessary to paint the island so we kept it as is and just painted the perimeter cabinets. 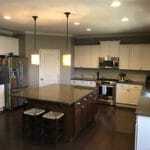 We used the same color as the homeowner’s trim – Aesthetic White, so it would feel cohesive.